Since the announcement of Jodie Whittaker as the new Doctor, we can't help but wonder what will change. I've been a fan of Doctor Who since around 2009, right when Matt Smith began his run as the Eleventh Doctor. Recently, the BBC announced the casting of Jodie Whittaker as the Thirteenth, being the first woman to officially play the part in canon. Many have praised the BBC for finally casting a female Doctor Who, and it is widely reported that she is the thirteenth actor to play the role. Jodie Whittaker is a great actress, but she cannot play a character named “Doctor Who” - simply because there is no such character with that name. Peter Cushing played a human named “Dr. Who” in the 1960s film adaptations that had little to do with the original show. She is the Thirteenth Doctor, and the eighteenth (give or take) to play the role in the show. Almost had you thinking this was an anti-Whittaker artcile, didn't I? Well, in reality, I'm totally in favor of the casting, so long as the writing team remembers what makes the Doctor who he/she is. The Doctor has been played by several actors in the series' fifty-four year history, with major stars such as John Hurt and David Tennant taking on the role. In that time, each actor has brought their own take on who the Doctor is, but some aspects have stayed consistent – his care for humanity, sense of adventure and wonder, and a drive to save people in any way he can. These changes in actors are brought on via an aspect of the series called “regeneration,” where due to the Doctor's alien biology (being of the Time Lord species), when he is fatally injured or somehow otherwise dying, his body changes form into a new, healthy one. This prevents the need to reboot the show every few years, and gives the production team an easy way to explain a new actor in either the main role or another Time Lord role. Regenerations are always a controversial occurrence within the Doctor Who fandom, going back to 1966. It follows a cycle of hating the new actor, giving them a few episodes, liking the new Doctor, loving him, then being sad to see them go, and back to hating the new actor. Everybody has their favorite Doctor, and if the current one is the favorite, then a regeneration is even worse. Of course, these used to just be a surprise, but once the show started picking up in popularity, the BBC began to announce the next Doctor in advance – mostly to drive up hype. This time, the change was highly publicized and once the announcement was made, it divided the fandom between those who like it and those who hate. One of the defining aspects of the Doctor is that he is not perfect. Oftentimes, his companions have to step in to help him get back on the right track or even save humanity when the Doctor has no idea of how to stop the monster of the week. Of course, usually the companion is a human woman, somewhere between the ages of 18 and 30, though there are many exceptions. One could make the argument that the companion is actually the main character and the Doctor a vehicle for them to travel with, and many companions themselves are on par with previous incarnations of the Doctor among fans (Romana, Rose Tyler, etc. )With Jodie Whittaker now in the headlining role, the writers working on her episodes must remember that even though they're in a new territory, they cannot make the Doctor always right and doing the best thing every single time – because then we'll end up with an even more arrogant Doctor, thus removing the purpose for a companion. One of the major controversies about the 2016 Ghostbusters reboot was that all the male characters were portrayed as stupid or evil, whereas the main four leads were the only competent ones. This is something that showrunner Chris Chibnall will have to avoid falling to, and instead continue to write the character has they have been for the last fifty-four years. The Doctor makes mistakes, the Doctor isn't always right. Changing that trait to avoid accusations of sexism would be changing the entire series. Of course, a female Doctor means that the role model status of the character has changed. In the past, the Doctor stood out on television as a male action hero who didn't use guns or his fists to solve problems, but his mind. When he did resort to actually fighting in the Time War, he did not go by the name of “the Doctor,” as he was no longer the same person, literally and figuratively. For years, young boys could look at the programme and see that he just saved the universe without having to beat someone up. Fifth Doctor actor Peter Davison is critical of this change for those exact reasons – which is a totally fair argument. Young girls have usually had the companion, and as said above, the companion is the one who is the real focus of the programme. Despite this, the specific requirements of the Doctor are very unlikely to be altered – kind, travels in the TARDIS, uses brain over brawn. Chibnall knows this, and because of the popularity of the character and the show itself, nothing will change in that regard, but maybe it will lead to more young girls looking up to the Doctor than in previous incarnations. If you notice, I refered to the Doctor as “he” more often than “she.” I do that simply because in his previous thirteen incarnations, the Doctor was male, played by male actors. It should also be clearly noted that Whittaker has not given a complete first appearance as the Time Lord, and not counting the regeneration in the upcoming Christmas special, won't until spring or fall of next year. 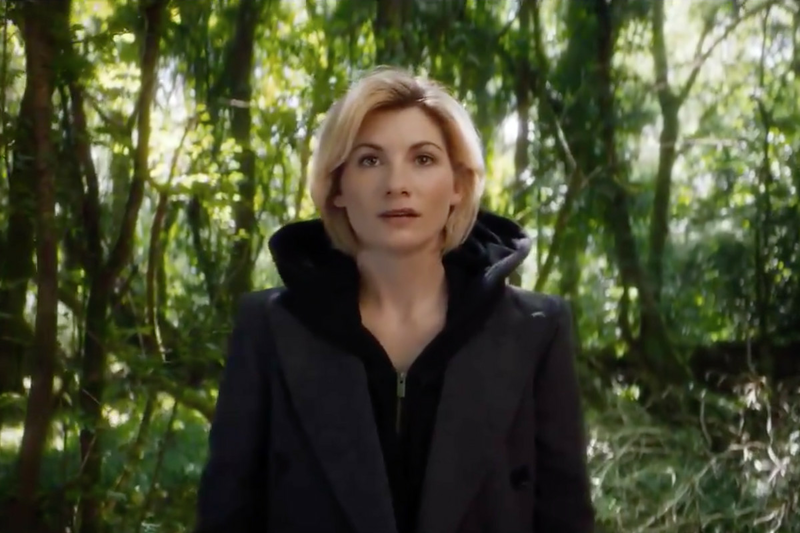 The promotional images of her Doctor are not reflective of the final design, as she is still in the clothing of the Twelfth Doctor – so the hoodie/jacket combination won't be her actual costume as the Doctor. Many are excited for a female Doctor, many are not. Others don't care who plays the Doctor so long as the writing is good and the actor does justice to the part. I find myself in the second camp. If Chris Chibnall and the writing team can give her some good material, she could go down as one of the best Doctors. But that too is subjective – some like Tom Baker, others like David Tennant, my personal favorite is John Hurt. Doctor Who is a series that is always trying to be different from the usual storylines on television, and maybe this will help them go in a new direction. And if the Thirteenth Doctor isn't as good as they had hoped, they can easily replace her – and yes, that is true of every Doctor since the beginning, as they fired Colin Baker back in the late 1980s. Until December, Peter Capaldi is still the Doctor. After that, Jodie Whittaker takes over and we wait to see what she does with the character. I'm excited to see the new take, and who knows, maybe she'll be one of the best Doctors. Only time will tell.